Kenny Shiels says he is delighted to seal the deal for his second summer signing. 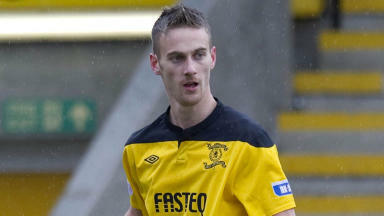 Kilmarnock have added to their attacking options by signing former Livingston striker Rory Boulding. The 23-year-old passed a medical at Rugby Park earlier this month having spent a week on trial at fellow SPL side Hearts. Boulding scored ten goals in the last eight games of the 2011/12 season at Almondvale, taking his tally to 12 in 29 appearances for the First Division club. He turned down a new deal to stay with Livingston, having originally joined the club on a one-year contract following his release by Accrington Stanley. The player featured in the Ayrshire side’s friendly against Wrexham and will provide back up to leading striker Paul Heffernan. 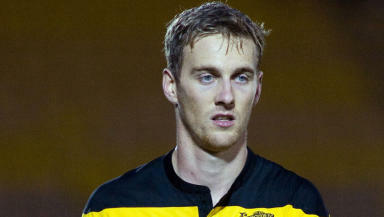 Dieter van Tornhout left the club earlier this summer and Shiels is happy to have secured his second summer signing. He told the Scottish Sun: “We are delighted to agree a deal with Rory as he gives us a different option in attack. It gives us competition in the striking department. “It was key that we got someone in with Dieter having left.